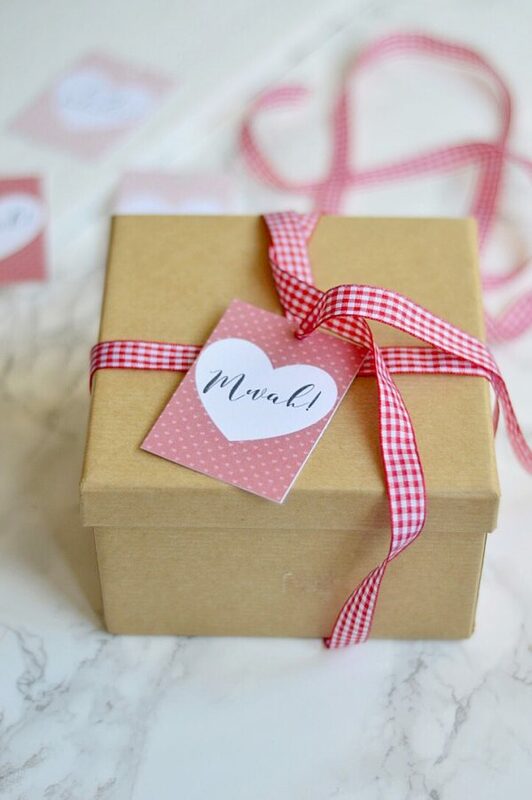 I love any excuse to get crafty and Valentine’s Day seems like a perfect reason to me! I’m a big fan of creating bespoke gift tags for every occasion (like these rustic Christmas tags!) 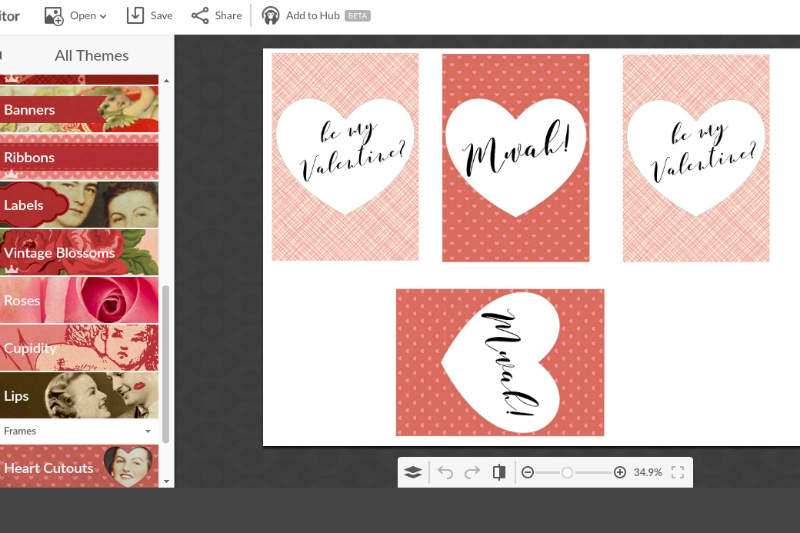 and today’s DIY tutorial will show you how to create free Valentines Day gift tags using Picmonkey. It’s quick, it’s easy and the results are oh so pretty! Note: this post contains affiliate links. This means that if you click through the link & make a purchase, I may receive a small commission, at no extra cost to you. White card (that will fit through your home printer). I’ve discovered that pages from a watercolour pad are a nice thickness and texture, relatively cheap and fit easily through my printer. A paper trimmer (I use this one) or good scissors. A hole punch (I use this one). Ribbon or twine of your choice. 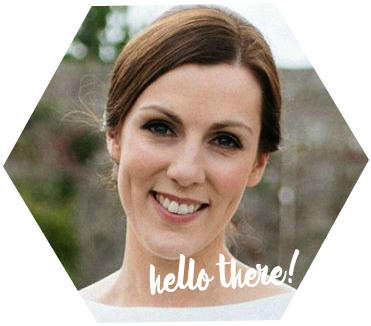 UPDATE OCTOBER 2017 – since this tutorial was written Picmonkey has now changed to a ‘free-to-try’ model. This means you can try it free for 7 days and save your work but, after your free trial, in order to save your designs you do need to be a paid member. I’m a proud affiliate for Picmonkey and have been a paid member since 2014 when I was creating my own wedding invitations. Seriously, I have all the heart eyes for this program and have designed a ton of stationery and create all my blog and social media graphics on it. So, in my view, the membership is worth it… but if you’re on the fence, the 7 day trial does give you an opportunity to find out if you love it too. 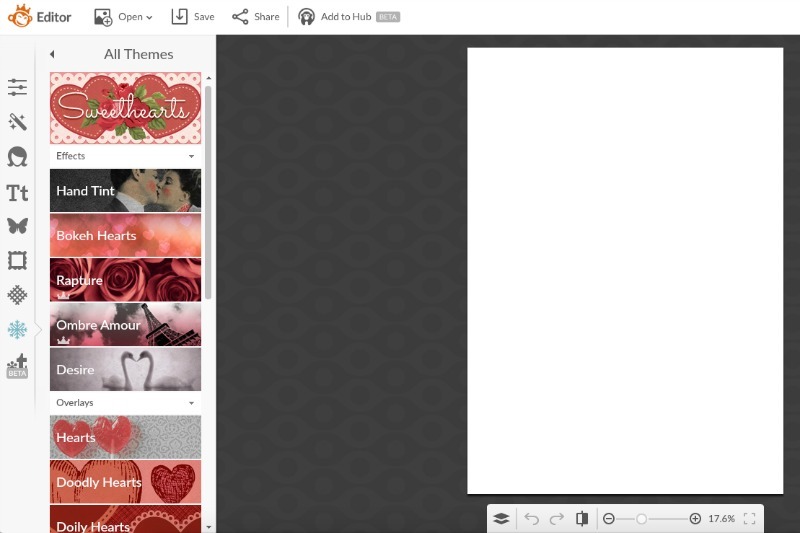 Head to Picmonkey.com, choose ‘Design’ from the top menu, then ‘Custom size’ and create a blank canvas sized 2480 x 3508 px. On the left hand menu you’ll see what looks like a snowflake – this is the ‘Themes’ menu. 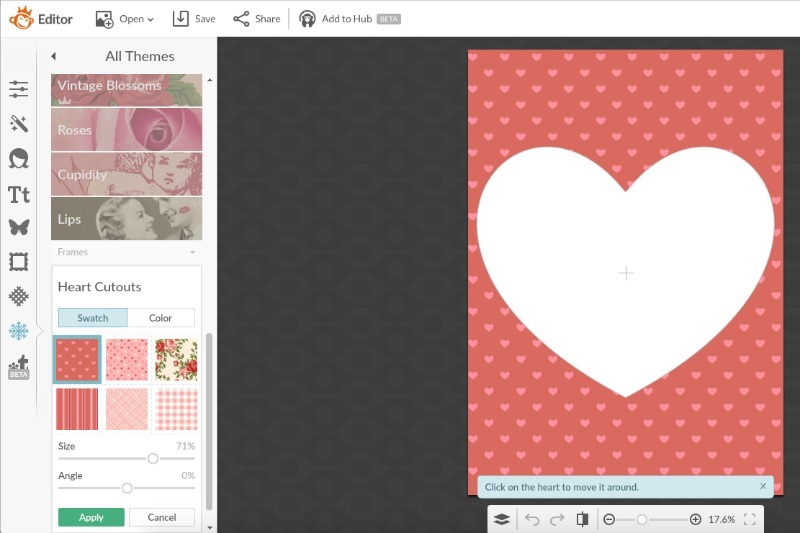 Once you click on it you’ll find a whole range of themes to choose from – for this tutorial we’ll be working on the ‘Sweethearts’ theme. Scroll down and choose the ‘Heart Cutouts’ option. 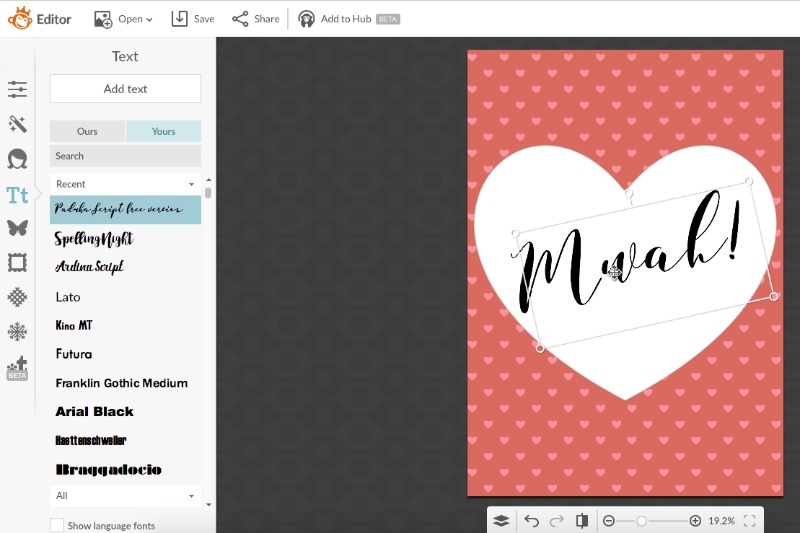 This brings up a range of patterns with a heart cutout for you to enter text into. Simply pick the pattern of your choice – you could make as many different versions as you like! 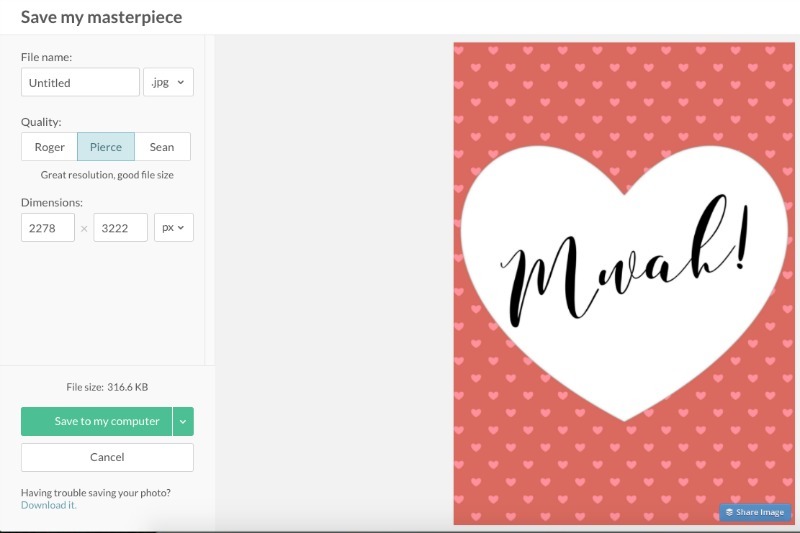 You may want to change the size of the heart to make it bigger or smaller – you can do this underneath the pattern choices. Now it’s time to add your message of choice. I’ve gone for a simple ‘Mwah!’. The font I’ve used is called Paduka Script and it’s a completely free calligraphy font that you can download from Dafont (you’ll need to restart your computer once it’s installed in order to see it pop up as a choice in Picmonkey). Alternatively you can choose from a whole range of free fonts that Picmonkey offers (go to the ‘Tt’ on left hand menu and check out what’s available. To save down to your computer click ‘export’ in the top menu. Save down your gift tag to your destination of choice on your computer. Once you’ve made as many versions of the tags as you want, open up a blank A4 canvas (3508 x 2408 px) and add the tags to it. You can add files from your computer by going to the butterfly icon on the left hand menu (‘Overlays’) then choosing ‘Add Your Own’ from the top of the menu to open a file from your computer. Resize the tags on the page until your happy with them. Print the tags out onto white card (check out my blog post on stationery home printing tips) then cut them to size using a paper trimmer (or good scissors at a pinch). You can add a hole to the top using a hole punch in order to thread ribbon through. 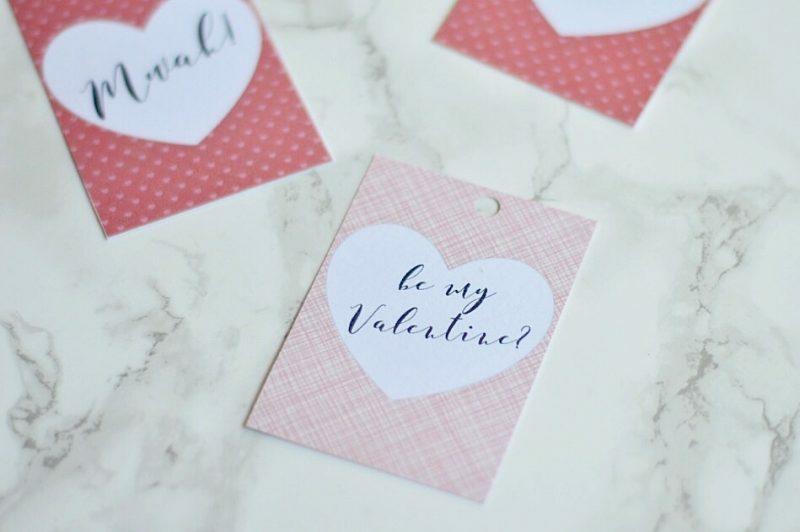 There you have it – super quick, easy and pretty Valentines Day gift tags that you can impress your special someone with this year! What do you reckon? 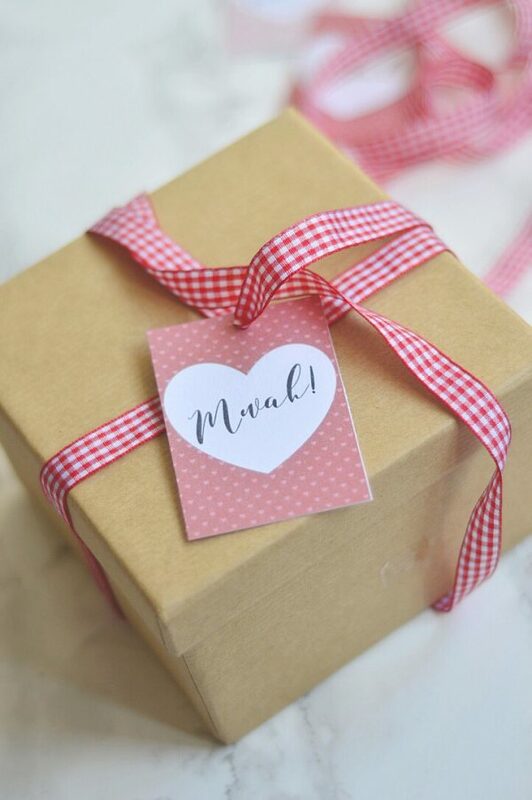 Will you be giving this Valentines Day gift tag tutorial a go? I'm Marie. All The Pretty Paper is a haven for stationery junkies. 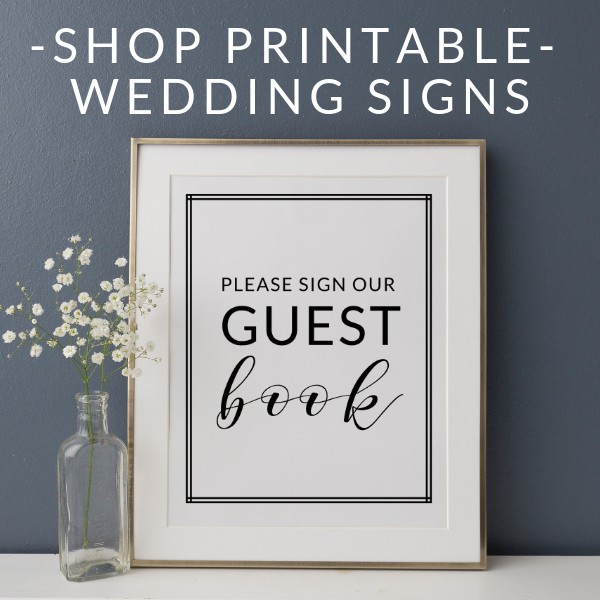 My first love is printable wedding stationery - the perfect 'DIY' option for cash and time strapped brides! You'll also find printables for organizing life's occasions and events. Some links to products/ services on the blog are affiliate links. This means that, at no extra cost to you, I may get a small commission if you click through and make a purchase. As an Amazon Associate, I earn from qualifying Amazon purchases.